Amazon FBA Business Update – Product is finally listed for sale! For all of you following my Amazon FBA Business experiment, you will be happy to read this long-awaited post. 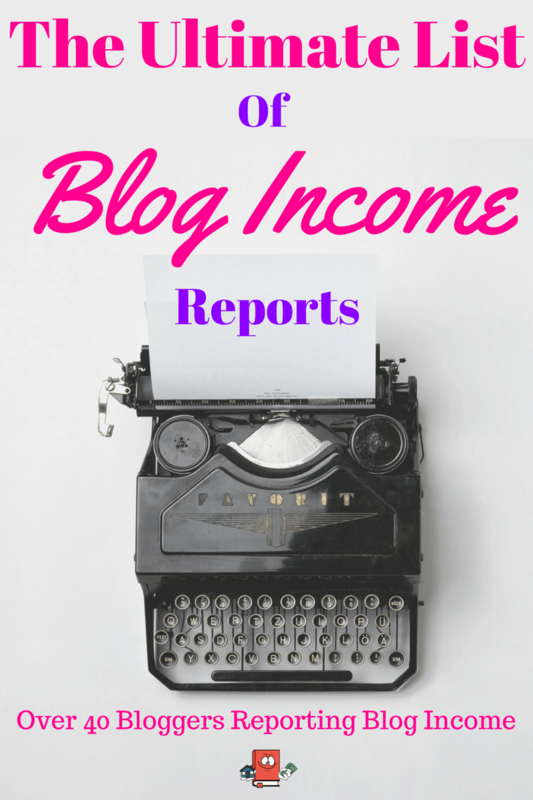 It was quite difficult to lay out everything that I have gone through and also incorporate all my income, expenses and future potential income in the post so please be sure to read the WHOLE post to get the whole picture. For all the new readers, I am aggressively seeking to increase my passive income to speed up my early retirement and thought it would be a great idea to try to sell private label products on Amazon. The very first post I wrote on this was back in March in which I clearly listed out my game plan and a list of steps to make this whole FBA project complete. From researching a product to sell all the way up to having the item listed on Amazon and making money. Feel free to check out my complete list of steps involved in starting up your own Amazon FBA Private Label business. A few months later I wrote an update post when my bulk manufacturing in China had begun. You will be happy to hear that after a long excruciating amount of time, I have finally completed all the steps and my product is officially listed for sale on Amazon Prime right now as I write this. I never thought it would take so long to get this experiment going and I want you all to know that this was not easy getting setup and it took a lot of patience and a lot of stressful days worrying about if I was getting ripped off and not to mention not really knowing exactly how to tackle each step. It was a trial by error experiment and learn as you go. 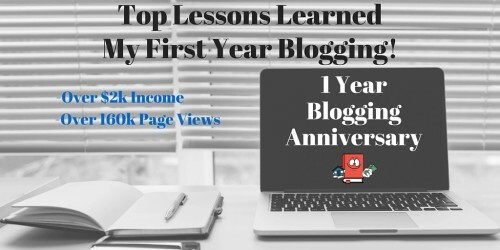 I had no mentors showing me the ropes although I did utilize multiple other web sites, pod casts and even a facebook forum to help me along the way. I will break out for you the time line, costs involved as well as how my product is performing now that it is listed for sale. 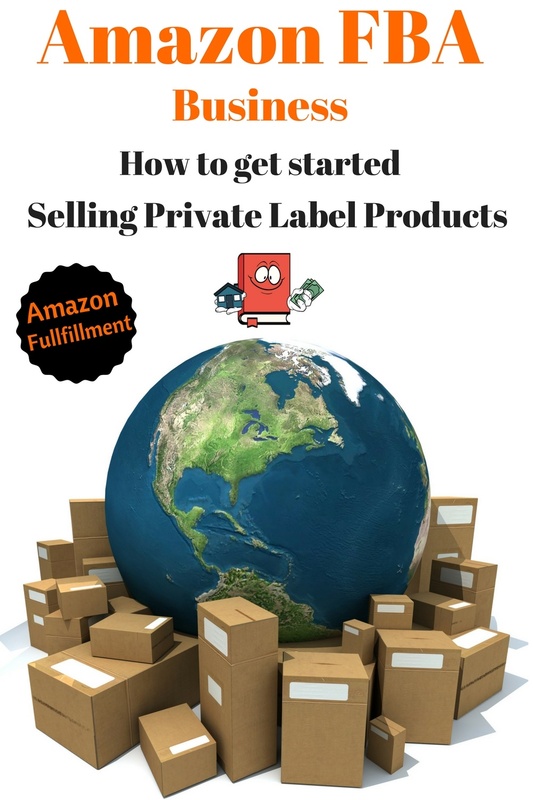 If you decide to start your own private label amazon selling business, then I hope you can learn from me and maybe even do better utilizing the info you will find here. How long does it take to start an Amazon FBA Private Label Business? January – Initial research began. 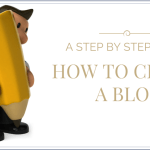 I learned about this business when I stumbled upon a blogger in which they were doing this and it appeared to be a successful business. From there I dove in head first into research phase and read everything I possibly could about what it takes to start this, how much potential money could be made and what all the steps involved would be. I was in research mode for almost 1 month before I was ready to start trying to find a product to sell. February – Product search began. I started using JungleScout which is a software used to analyze and to help pinpoint potential products to sell on Amazon. It uses data analytics to compare and review products relevant to how many sellers are currently selling it, how many sales they are getting, how many reviews they have and just overall generic info on the product categories and individual niches within the Amazon site. Its a great tool to use and it’s what I used to find my product. I actually ended up choosing 3 different products using this software and proceeded with ordering the samples. Ordering the samples was done AFTER I had already negotiated price points for each supplier. All my suppliers were found using AliBaba. The more you buy, the cheaper it was per product. During this month I also created my own logo for each product so that I could have the supplier put my logo on the samples. Only 2 out of the 6 suppliers were able to accommodate the logos on the samples. The other ones said that after I commit, they would send me a new sample. For now I really just wanted to see the quality of the products so it was not a big deal for me. March – Received samples. I requested samples of each product from 2 different suppliers on Ali Baba. So I had 6 total samples sent to me from 6 different manufacturing suppliers in China. After reviewing all the samples and doing as much research as I could on the suppliers, I ended up choosing to proceed with only one product. From a cost perspective, although it was super expensive and extremely risky, I placed an order for 1000 units of the product I wanted. You will see the breakdown of all the costs below. I also had to pay 30% up front to start the mass production. April/May – Waiting!! During these months the ali baba supplier was producing the bulk order. Initially they told me it would take about 40 days so I was expecting a long wait but I admit, it did take a little longer then 40 days. I also took the liberty of researching and prepping a freight forwarder during this time to accommodate the shipping of the bulk items to the united states from China. I had to go with sea freight because of the amount and size of my products. It was just way too big and heavy to ship via air. It would have cost a fortune to try to get this delivered by air. June -Manufacturing complete. I finally got the email that my bulk order was made from my Chinese supplier and I immediately had them ship me 2 units of the final product. I received my final samples and was impressed with what I saw. I also paid a 3rd party inspection company based out of China to actually go to the manufacturer and do QA testing, take pictures and confirm the item count. This was a very important step and I highly advise you do this. It will make you feel a lot more secure about not being ripped off. I actually did not encounter any problems with the inspection so it worked out quite well. Once I received the samples via airmail and had the positive inspection report I went ahead and made the final payment (remaining 70% of the total cost). From here I went ahead and finalized the shipment details with my freight forwarder and we had my products placed on a sea freight carrier. Initially the freight forwarder told me it would take about 30 days to get to the united states. See below for total shipping costs. July – Waiting!! I had to wait for my products to clear customs in China which prolonged the shipment, then I had to wait to get it on the next ship that was headed out to California which delayed it about another week. At this point, I took this time to really put some time into making my Amazon listing and getting the product pictures ready. I reviewed all my competitor products and cleverly created my own unique listing that incorporated everything my competition had and MORE!! I also took my own pictures with a light box I created on my own and using a very good camera that my wife owns. I had trouble using photoshop to white out my background so I ended up paying $6 for someone to do it for me on fiverr.com. The pictures turned out nice and I was happy to have them posted on my listing. August – My product lands in America!!! After waiting over 40 days I finally got the email from my freight forwarder that my products are in California and that I would have to wait a bit for it to clear US customs. About a week later which took forever in my opinion I got the final clearance. At this point I went onto my Amazon Seller central account and finally made my first bulk order pickup from Amazon direct from the warehouse in Cali. I shipped 1000 units to Amazon. I emailed the UPS labels provided by amazon to my freight forwarder where they took care of placing the labels on the boxes for me. One week later I received an email from Amazon indicating my products have arrived at the warehouse and they would soon be available for sale. September (Now) – My product is selling! My product has now been on amazon for sale for about 3 weeks and I have sold approximately 65 total units with 25 of them being from the reviewers/coupon codes. So those don’t really count. In other words, I have sold 40 real units at full price to actual customers wanting my product. I’m averaging about 2 sales per day since I started selling and I am utilizing amazon PPC which is an ad campaign that promotes my product when people do searches on amazon. However my product actually appears to be picking up as the last few days it look like 3 to 5 sales have been occurring. You can find the costs for this below. Current Price of my product on Amazon: $37.99 – I initially planned on selling my item for $40 but after the first week of no real sales I was worried it was priced too high so I lowered it. I may modify this in the future to see what happens but I just need more time and data to see how my product does. Current amount of reviews of my product: 20 Reviews (15 are 5 star, 5 of them are 4 star) Not all the coupon code reviewers have left their reviews yet which is concerning to me however I was told it could take up to 20 days from the delivery before they do it and it hasn’t even been that long so I have to wait a week or two to see if all my coupon code people leave reviews. 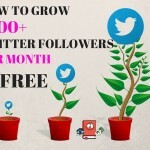 Keep in mind as you are reading this, my product has only been listed for 3 weeks and I am still trying to figure this whole thing out on how to increase sales and figure out this darn Amazon ad campaign PPC crap! It aint easy! Total sales to date: 65 units (not including 2 which sold the day I was writing this post) I am averaging 1.9 sales per day so far however I feel like its starting to pick up and I am getting like 3 per day recently. Total amount of inventory left: 917 This number is actually quite concerning because it appears one of my boxes never made it to amazon. I am missing about 16 units which is exactly what each box contained that I shipped. I have yet to reach out to amazon about this but will do this very soon. These may be gone for good and I will have to eat the cost. Total potential profit to be seen (from selling the remaining 917 units at $37.99 plus the amount already earned and deducting the amazon fees): $9,862.04 This means I recover my initial investment of almost $17k and then make around $10k in profit on top of that. Not bad although this number will be less for sure due to any unforeseen returns/damages and ad costs that I have yet purchased. Im hoping that I am able to clear at least $8,000 in profit off of this amazon experiment. Better to have lower expectations as far as I am concerned. With that being said, with a total amount in at $16,788.44 and the possibility of earning a total of $26,650.48, that would leave me with a pretty darn good ROI as far as I am concerned. Here is an actual line by line item break down of my income/expenses. ** I was hit with a sales tax fee in my state because I did not file $0 sales in my first month of having my LLC that I created. I was not aware I had to file even without any sales. Lesson learned! ** Amazon is charging me $10.10 in amazon fees on each sale that I make. So $37.99 minus $10.10 is $27.89 I get back per sale. My amazon FBA private label experiment is still in its early stages and I have a lot to learn still. I’m sure there will be future issues and problems that I will run into in which I will have to learn as I go. Although it seems to be going decent so far and is showing signs of promise, I still feel nervous about the whole thing. At the end of the day I will be happy as long as I at least break even. A lot of bad things would have to happen for me to get to that point though. I will try to keep an optimistic frame of mind and just see how it goes. As of now I am not thinking about ordering a second batch or even starting a 2nd product. I need to recover my initial funds invested first and see how long it takes to do that before I make any future decisions about this project of mine. The whole thing is pretty crazy how I just jumped in and started doing this but that is just the way I am. You have to take risks in order to succeed and I really, really want to succeed! If I fail, then I will learn from my mistakes and move forward. Honestly though I am not thinking I will fail at this as it seems to be going decent so far. I mean the hard part is all done now and its pretty much on cruise control from now on other than learning how to refine my sales. After reading all this, what do you think about all this? Do you sell on amazon or are you thinking about doing something similar? Congrats! Seems like a ton of hard work and money has gone into this and I’m sure it’s good to see the product finally selling. I’d still like to know what the heck you are selling. 🙂 Continued success! Thanks Brian! The last 2 days actually I have been selling about 5 per day so its picking up steam which is awesome. Just hope it gets even better. Great job!! A lot of hard work is clearly paying off. Cheers to your successful side hustle! What an excellent experiment. I think it’s great to stretch yourself and try out new things like this. I wish you all the best with your Amazon business. That’s a large investment and even if doesn’t pay off (which I’m hoping it does), you will have learned a lot in the process. It is a very large investment for sure but I am confident I will at least get my money back. At the rate it is performing now, I should be able to clear an $8k profit. Which would still be a 50% return on my money. That is pretty sweet! If you shipped the box to amazon using UPS then you are covered. After a period of time you can use their reconciling tool to have Amazon look for the units and if they can’t find it they will reimburse you (they may ask for an invoice due to quantity). Let me know if you have questions about the Amazon logistics, I don’t private label (I do RA/OA) but all other aspects I can help out. Oh wow I didnt know that. Thanks so much for the helpful information. I was thinking I was screwed! I may have to hit you up on some questions later on. Thanks man! 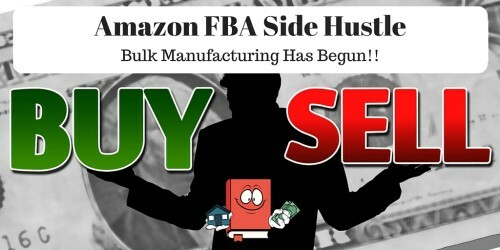 Awesome series on Amazon FBA! Like others, I am curious to know what the actual product is…what if I pinky swear not to hijack your sales :D? Haha trust me I know what you mean. Whenever I read other blog posts about Amazon, especially the ones that are really successful at it, i just want to know what they are selling so bad!! Great, informative post! Thanks for sharing all your numbers. You mentioned you are still a bit nervous about it all – I am curious to know if you wish you had started with a smaller investment doing retail or online arbitrage. I’m doing those currently and hope to get into private labeling eventually, but everything I’ve read suggests starting with RA/OA to become REALLY familiar with the process of selling on Amazon, before moving into something like PL,as that is a more advanced business model. Oh yeah I am nervous only because of the uncertainty of it. I keep reading horror stories about amazon suspending accounts or just cutting off people sales for whatever reason. I actually did read into the retail and online arbitrage and it didnt intrigue me. Im usually one to go big from the beginning so I figured I would just go straight to the private label. How is the arbitrage working out for you? Awesome breakdown! I’m actually waiting on my first FBA shipment to arrive (2,000 individual units = 200 products), hopefully next week. 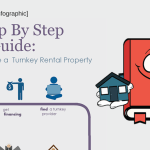 I also have turnkey properties as well as local rental properties, so it sounds like we have similar plans! Can’t wait to hear more about your FBA journey – sounds like you’re off to a great start! Awesome!! You are right on the cusp of selling. I know how that feels. 2k units = 200 products? Do you mean you are packaging different items into one package for sale? Sounds great!! I cant believe you are doing amazon and turnkeys just like me, you should message me offline, we have a ton in common and im curious to know how your experience for both have gone so far. This is an amazing summary! Thanks! Do you think it’s worth it? 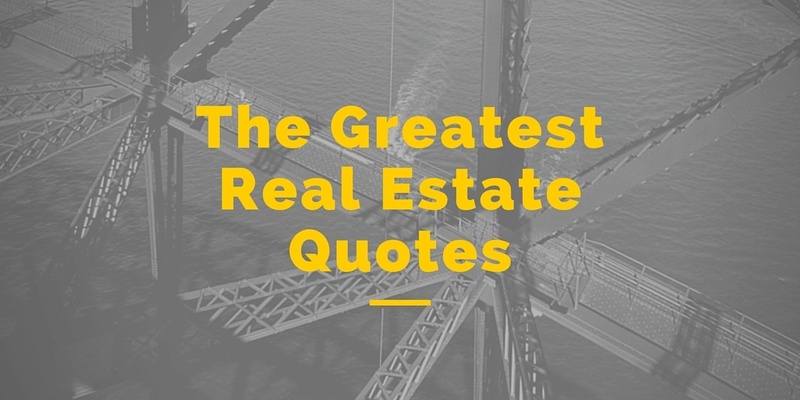 All the time, effort, and risk for $10k at best? I say definitely worth it for the learning experience!!! If it works out, he can easily scale it up. If it doesn’t work out he has gained a lot of experience for the next project. Big earnings have always started from small trials and errors, that’s how it’s been for me! Personally however, I would have targeted higher margins from the get-go. Definately agree here with Joe. You should give it a go. The hardest part honestly is probably trying to find a successful product to sell. Thanks ESI! Honestly so far I think it is worth it because even if I make $8k from it, that is a 50% return on my money invested in less then one year and no one can beat that. It did take a lot of effort to get it started but the thing is that to keep the business running it will take very little effort. If i just keep getting new batches its just a matter of sending a few emails. Its a lot of work up front but then smooth sailing after. Assuming I decide to proceed with it. Not to mention its an invaluable experience and really opens up the door to ecommerce and other forms of making money online. Hi, my wife started a little jewelry business by importing from China manufacturers. She does direct sales rather than online. She charges 3x to 4x cost and already earned back the inventory cost even though she sold just a fraction of the goods. We are new to this also, but my impression is that retailers are achieving a much higher markup than you are targeting. We picked jewelry because it is super cheap/easy to ship or hand-carry and takes very little space. We found suppliers on our own rather than going through Alibaba, which seems pretty overpriced. Wow I think that is such a good idea. Here in Indy it seems like there are street markets every weekend and i see stands/booths selling jewelry like this. I could see how that takes a lot of time but I can also see how it could be a solid living and fun even. Maybe someday in the future I may venture out into something like this or have my wife do something like that. How did you find suppliers outside of alibaba? Just internet researching? We found suppliers during our trips to China. There are huge wholesale markets in Guangzhou, I found those on the internet but we shopped in person. We also attended the annual Canton Trade Fair. My wife found a few natural stone suppliers also by searching on the internet. My wife made most of her sales through social circles rather than stands/booths, it’s a better avenue for higher priced items and gets repeat business. We tried a high-end flea market before, but people are mostly looking for cheap goods and bargains there, not a good fit. Maybe other types of street markets would be better? That is super cool you were able to go to the canton fair. I read about it and it must be a huge benefit that you speak chinese. I really envy what you and your wife are doing. Congrats on that. By the way, I found some of the economics in China to be pretty crazy. We had 1000 business cards designed, printed, and delivered to our hotel for 20 rmb, which is about 3 USD. We also had a professional artist design our logo for about the same price. I have no idea how their economics work out that they can make a profit! Haha yeah that is dirt cheap! So funny. It reminds me of Mexico and other counties in central america where everything is really cheap as well. This is awesome. I’m so glad things are going well for you so far! 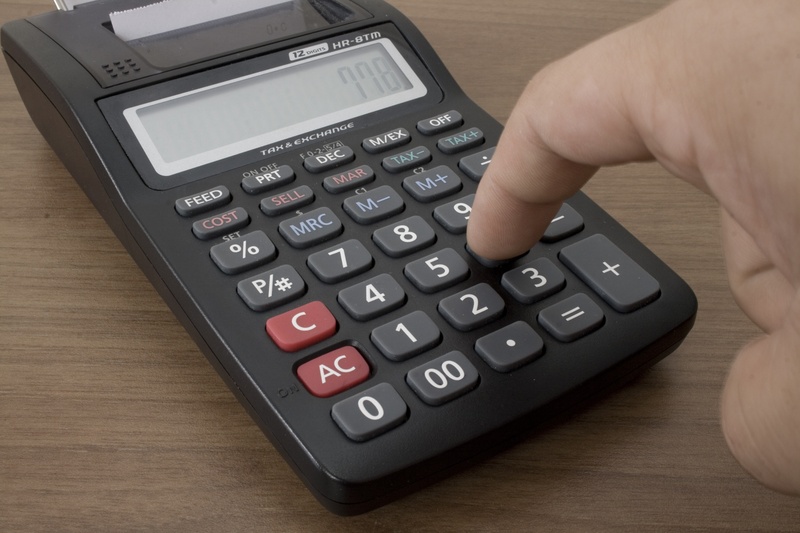 It sounds like your costs might go down if you place a re-order with this same supplier. Do you think that’s true? So if your inventory is running low and you just reorder the same stuff, will that help you get an even better ROI overall? For sure you’ve already got most of the learning curve handled, so hopefully it would require a lot less labor on your end. Well my effort and time involved would definitely go down if I pick up another batch but for costs, I would either have to re-negotiate with the supplier or order a greater amount to get more savings. The ROI would be better on the 2nd batch because I wouldnt be giving away any super discounted products for reviews and in theory, they would sell faster as I would not be starting from scratch with zero reviews and stars. This is crazy! I don’t know why I can’t comprehend all of this – it literally goes over my head haha. Mind blown though. You have to keep writing more about this, it’s so fascinating. Good luck! Hahahaha, yeah I can imagine it would be very confusing for someone who has never heard of doing this. Its crazy what can be done to make money out there. Ive been paying attention to you and your site as well and am mind blown myself at your growth and quality of just everything you do. You are freaking awesome Kristin!! Well done. 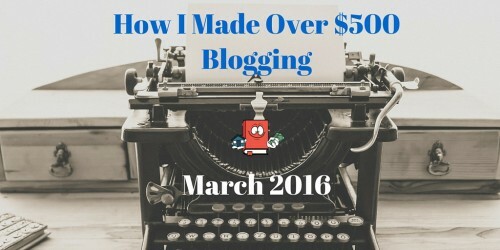 We started an amazon business last September (part of why the blog largely stopped) that we now sell there and on our own site, doing well over $30k/month. It’s scaled shockingly well in a 1 year. Wow that is amazing that you are selling so much now. Is most of it still coming from Amazon or where you seeing some good sales on your own site? I bought the domain name for my private label brand and can create a site for it if I want to but Im just not at that point yet. I dont even know how I could generate any traffic to that kind of site either. Congrats on your success bud! Thanks Jef!! Oh yeah I would have done this still even knowing what I know now. I mean at the end of the day it looks like im still going to be pulling some good returns far greater then stocks and most real estate deals. Its a good thing for sure. Alex, fantastic write-up! It’s of particular interest to me because I am going through a similar process. It’s been about 4 months for me since I started the FBA journey. I’m pretty much settled on a supplier after working with 5 or 6 different ones. I’m just waiting for Alibaba’s bank to confirm my bank link and I’ll be pulling the trigger for my first order. I’m not ordering as many as you did initially because I want to ensure the manufacturer can execute my bundle well. But, if everything looks okay, I’ll probably do a much larger order soon. It’s both exciting and terrifying! 😉 Good luck my friend. It sounds like you’re well on your way. If you’re at FinCon this week, we should chat FBA!! I think its really cool that you are going through this just like I am. I remember when I was at where you are at right now. The most fear I had was when I sent my first wire to the supplier. Had no idea if I was ever going to hear from them again! LOL. Worked out though for me. I had to cancel my FinCon trip because I didnt want to take back to back vacation days off. I just took a week off last week for my honeymoon. Ill be at next years for sure though. Alex, this is great news, you’ve made it through the toughest part! I look forward to hearing about future updates and more importantly future earnings! Also check out “Splitly” it can help you with your pricing dilemma. Thanks CFA! I definitely is a relief that I am done with all that initial setup. I agree that is the hard part. And thanks for letting me know about splitly, ill be sure to check it out. Need to figure out that pricing asap!! Congratulations!! I actually get to know a real person who’s going through selling on Amazon through FBA 🙂 Hope nothing but the best! Thanks FS!! I appreciate it. Would be great to see you anticipated profits if you were to continue with a second shipment of your current product. Basically a breakdown of startup costs vs recurring costs. Indeed! The recurring costs would be a lot better im sure. I still have over 800 units to sell so its going to be awhile until I need to make a decision to proceed or not. Will keep you informed. Just finalized my first order with a Chinese manufacturer. I’ve been researching products, listening to podcasts, YouTube videos etc. since early May. I got cold feet, dabbled in retail arbitrage and just decided to give it a shot. I’m comfortable with my supplier and she regularly Facetimes, which I love. A leap of faith for sure, but I’m fortunate that I can take the risk as a side job. Fingers crossed ? That is awesome! congrats!! I went through the same thing but only had cold feet for about a week. I just said “F it!” and did it. I think its great that your supplier facetimes you, that is great and seems very trustworthy for them to do that. Ill be pulling for you bud! Let me know how it goes, seriously! Would love to hear about it. Hi Kamran, I used this company. http://www.chinaqualitycheck.com/ I was very satisfied with their report. Congratulations on your success so far! Sounds like you are well on your way to success! Do you mind sharing who your freight forwarder is? Hi Dave! Thank you. I used “Forest Shipping” as my freight forwarder. Other then it taking longer then originally expected to ship, i thought it went fairly well however I have nothing to compare it to. Pretty awesome and thanks for sharing your experience! I heard a lot people have success selling on Amazon and with sourcing the product from China, it’s is much more scalable compared to having to find discounted items at the clearance racks. Youre welcome Andrew! There are a lot of people having success for sure but there is also probably a lot of people failing at it. I read a lot about the clearance rack stuff which is called retail arbitrage and decided it would be better for me to do the private label thing. That is great!! The whole amazon world fascinates me and I love hearing about others selling as well and doing good at it. Great to hear about your success so far! How are daily sales now that your product’s been out for a few months? I’ve read similar success stories, but unfortunately most of them end with increased competition destroying profitability 6-8 months after launch. Thanks again for documenting your journey! Just curious how you are handling sales tax in other states due to Nexus. I was selling on Amazon FBA for a couple of years, but the ridiculous costs in states such as California and Nevada and the headaches of other states such as Arizona got to be more than I wanted to deal with and couldn’t find an accountant that wanted to deal with it either. I was up to filing in 10 different states thanks to FBA Warehouse Nexus. Honestly I only filed state sales tax in the state that my LLC was in. It was always lurking in the back of my mind though that I needed to file it in all the nexus states. I never did and now Im just glad its over with and dont have to worry about it. you didn’t continue with your amazon biz?..we’re actually big sellers and as i have just read through some posts i was hoping to see you going well? Its a tough business for sure, but if you know what your doing, there’s lot of money to be made, especially when you sell your brand..